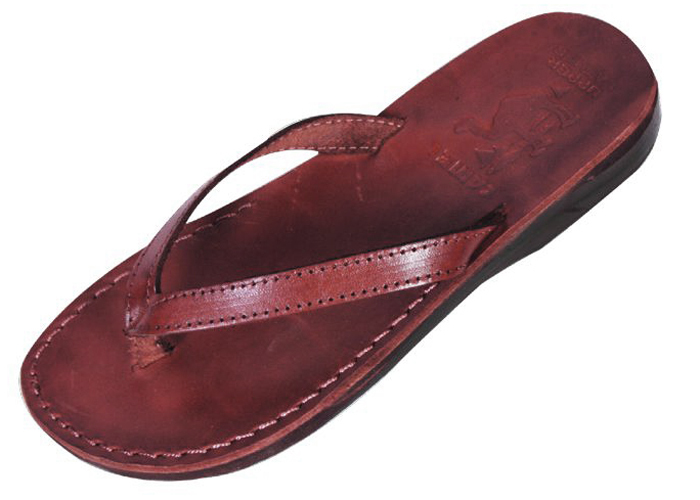 Thin V-strap slip-on style biblical sandal is made of 100% real leather. The Ephraim classic leather flip-flop from Camel Sandals features a wide Y-strap constructed of three pieces of fine leather sewn together at either side of the instep. The Y-strap is outlined in fine stitching and bound to a toe separator that is wrapped in leather to prevent chafing. The styling of this biblical slip-on will appeal to both men and women.